In bahasa we called tauge/toge. Plants sprout this one is a lot and very easy for us to meet in the course of our daily diet, ranging from soup to salad usually use a mixture of vegetable sprouts as an ingredient in it. Sprouts are one type of food sprouts that provide many benefits for the body. Some people say if a woman who wanted to have a baby then multiply eat bean sprouts. - Contain anti-oxidants and viamin E is efficacious for fertility and can boost vitaltas men and manhood. 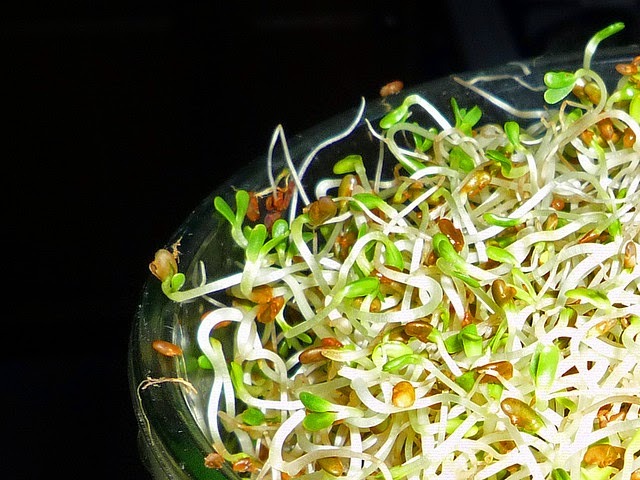 - Protein bean sprouts 19% higher than the protein content in the seeds of the original, because, during the germination process, the formation of essential amino acids which are the building blocks of protein. - Apat prevent cancer, because the process of becoming sprouts has outlined 90% olisakarida chains into simple carbohydrates. - Also contain fiber which helps draining impurities in the colon.